75 years ago, the Abwehr military intelligence of Hitler’s Germany was deprived of its autonomous status and transferred to the imperial security headquarters of the Third Reich. According to experts, Western media and researchers today portray the Abwehr as a professional and apolitical intelligence service, but this image has little to do with reality. Despite rumors of the highest efficiency of Hitler’s military intelligence, the Soviet secret services almost completely blocked its work on the Eastern Front. In addition, the Abwehr officers were involved in the commission of war crimes in the territory of the Soviet Union. Wilhelm Canaris, whose activities are connected with the rise and fall of Hitler’s military intelligence, was born on January 1, 1887 in Applerbeek. His father and grandfather were wealthy industrialists, but Wilhelm dreamed of the sea. He even told acquaintances that he was a relative of the fighter for the independence of Greece, Admiral Konstantin Canaris, although most modern biographers of the German intelligence officer believe that in fact his family came from Northern Italy. In 1905, William Canaris entered the service of the fleet. Six years later he was assigned to the cruiser "Dresden", in the crew of which he took part in the Coronel and Falkland battles with the British. 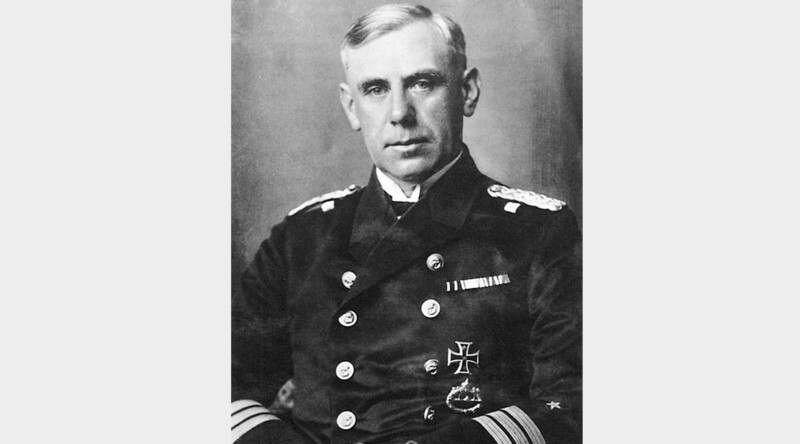 In 1914, Canaris, who was aboard the "Dresden", was appointed command of the officer of the naval intelligence. However, the ship was surrounded by the English fleet and scuttled by its own crew. Canaris was interned in Chile, but managed to escape and returned to Germany. He continued to work on the line of naval intelligence, carrying out the secret missions of Berlin in the Mediterranean, but in 1917 he retrained as a submarine commander and ended World War I in that capacity. During the revolution of 1918-1919, Canaris established himself as a fierce anti-communist. He was also a member of the court who acquitted the murderers of Karl Liebknecht and Rosa Luxemburg. Later on, on behalf of the German authorities, he conducted secret negotiations with foreign countries on the restoration of the German fleet. The naval officer became a staunch supporter of Nazism. In 1935, Canaris was appointed head of the Abwehr - the intelligence and counterintelligence department of the German armed forces. After the defeat in the First World War, Germany for some time remained without military special services. In 1920-1921, a group appeared in the newly formed armed forces, which nominally dealt only with counterintelligence, but in practice was also to become an intelligence agency. She received the conditional name "Abwehr" (translated from German - protection). In 1928, the Abwehr was merged with the fleet intelligence service and upgraded to status as a department. In 1932, naval officer Konrad Patzig headed military intelligence, who tried to strengthen it, but at the same time came into conflict with other special services. Patzig was forced to return to the fleet, however, leaving the Abwehr, lobbied for the appointment of Canaris, a person who had experience in secret operations. “In 1935, Canaris took over a relatively small department, which eventually turned into a huge special service with an extensive structure,” said historian and writer Konstantin Zalessky in an interview with RT. Immediately after his appointment, Canaris signed an agreement with the head of the SD, Reinhard Heydrich, that the Abwehr would deal exclusively with military issues and would not interfere in political matters. In public, Canaris and Heydrich, who were still familiar with the general service in the fleet, demonstrated friendly relations, but in reality they were constantly looking at each other for compromising materials. In the new post, Canaris was soon given the rank of Rear Admiral. During the Spanish Civil War, he became one of the representatives of the Third Reich on the Iberian Peninsula. In 1938, the Abwehr during the reorganization was upgraded to a separate military intelligence and counterintelligence department of the German armed forces. “Abwehr got autonomous status. In its structure, such units as Abwehr-1, collecting intelligence information about foreign armies, Abwehr-2, responsible for sabotage and terrorist activities, Abwehr-3, carrying out counterintelligence, appeared. In addition, the Abwehr Ausland (one of the departments of the Supreme Command of the German armed forces) compiled economic and political information from military attaches, and the Abwehr center was responsible for personnel, finance and mobilization, ”the candidate of the Victory Museum told the RT. Historical Sciences Dmitry Surzhik. The officers of the Abwehr made a significant contribution to the successful offensive of Hitler's troops in Denmark, Norway and the Netherlands. They delivered the necessary data to the military command in a timely manner, carried out sabotage activities and passed on disinformation to the British special services. But on this their major successes ended. Despite the fact that in the summer of 1941 the special units of the Abwehr managed to disorganize the rear of the Red Army to a certain extent, on the whole, the actions of the German military intelligence on the Eastern Front turned out to be a failure. The data on the real forces of the Soviet armed forces, transmitted by the Abwehr to Hitler, were underestimated by about a quarter. In the intervals between the Jewish pogroms, the battalions of Ukrainian nationalists subordinate to Canaris engaged in politics and attempted to take part in the proclamation of the Reich of the Ukrainian state under the protectorate. Abwehr agent Stepan Bandera turned out to be an adventurer and a corrupt official who stole funds allocated to him by German intelligence to finance the OUN. As a result, the Ukrainian formations, which were initially supervised by the Abwehr, were transferred under the control of the SS and the headquarters of the imperial security (RSHA). “If the Abwehr somehow coped with counterintelligence work, in the field of military intelligence, Canaris was failing after failure. In throwing spies and saboteurs into Soviet territory, the leadership of the Abwehr staked on the mass to the detriment of quality. They hoped that of the many quickly trained agents, at least someone would successfully cope with the tasks. But it was a fatal mistake of Canaris, ”said Konstantin Zalessky. Special departments of the NKVD, and then military counterintelligence officers from Smersh, massively identified Abwehr agents. Many of them came to surrender voluntarily. Immediately after this, the Soviet special services began games with enemy intelligence. Under the guise of collaborators, German counterintelligence agents were returning to German intelligence schools and intelligence centers, who not only transmitted disinformation to the Abwehr, but also collected data on the plans of the Nazi special services and sent them to Moscow. In addition, recruited German agents on the instructions of the organs of the Soviet state security entered into radio games with the Abwehr, imitating successful activity in the territory of the USSR. The Abwehr received from them false information, and in return sent new employees, weapons, explosives, foodstuffs and money, which eventually went to the needs of the Soviet defense. In addition, the people of Canaris were generously sponsored by underground anti-Soviet organizations invented by the NKVD and Smershe and part of the German encirclement hiding in the forests. “The Soviet special services completely outplayed the Abwehr,” Zalessky stressed. Abwehr’s involvement in war crimes, the expert calls the myth. “To begin with, the Abwehr was responsible for sabotage and terror. His employees changed into foreign uniforms and destroyed the infrastructure of life support, which in itself was a crime. We must not forget that, in addition to intelligence, the Abwehr was engaged in counterintelligence in the occupied territories. I think it is easy to guess what methods this work was carried out. She was no different from what the SD and the Gestapo were doing, ”the expert noted. For example, the officer of the Abwehr Riesen led the repression against the civilian population of the Eastern Crimea. Under his personal control, about 1,200 people were killed. In Europe, some of the Abwehr workers turned out to be opponents of Nazism and began to work for the Resistance themselves. Some of them were members of the Hannah Solf opposition party, defeated by the Gestapo in 1943. “The failures of the Abwehr’s operations, communications with the Resistance, and the flight of several officers abroad led military intelligence to lose the long-lasting SS and RSHA hardware war,” said Konstantin Zalessky. On February 11, 1944, Canaris was relieved of his post, and the next day, February 12, Hitler signed an order to liquidate the Abwehr and create a unified intelligence service within the structure of the RSHA. Military intelligence officers reassigned their long-standing competitors. Kanaris was appointed to the post of chief of staff for the trade and economic war under the Wehrmacht. After the attempted assassination of Hitler on July 20, 1944, in which his friends and former subordinates of Canaris were involved, the admiral was arrested. However, no evidence of the connection of the former head of the Abwehr with the attempt to detect was not possible. But in February 1945, staff members of the RSHA found his personal diaries showing Canaris’s connections with the British. However, according to Konstantin Zalessky, no evidence that Canaris was a British spy, as is now sometimes said, was not found. “He, like many other heads of special services, was in contact with foreign colleagues and at the same time, going to certain agreements, went beyond the boundaries of his authority. If there were real evidence against Canaris, he would have been awaited by a full-fledged court, and the SS tribunal would have sentenced him to death by an accelerated procedure, ”Zaleski said. According to the expert, shortly before the collapse of the Third Reich, the diaries of Canaris were allegedly transported to Austria to Mitterstil Castle and burned in early May 1945. Only a few typed documents remained that covered the period from 1939 to 1942. “The Abwehr is today portrayed in the media as a powerful intelligence service, and its employees as apolitical professionals. But in fact, the Abwehr did not fulfill his mission: violating the laws of war and committing war crimes, he lost the battle both at the front and in the Hitlerite apparatus, ”the expert concluded.